MicroTech, a technology integration company based in Tysons Quarter, Virginia, was just named the country’s #1 8(a) firm by the Small Business Administration (SBA). Federal Computer Week released the list of Top 50 8(a) companies yesterday, and MicroTech tops the list with $280 million in prime contracts and an additional $62 million in sub-contracts. The data analyzed is compiled from government sources. An 8(a) business is a special status given to firms designated socially or economically disadvantaged. They are eligible for financial assistance, mentoring, training and other forms of assistance in order to help their growth and development through the SBA. The SBA was established in 1953 in order to help small business grow, and also to give them a voice in Congress. President and CEO of MicroTech, Tony Jimenez, had this say after being notified of the honor: “Our status as the No. 1 8(a) business is really heartening. It reaffirms that if you surround yourself with the right people and stay on the cutting edge by focusing on innovation, businesses like MicroTech will continue to succeed,” Jimenez said. MicroTech is a thriving company that offers a wide array of services and products in the realm of technology integration, social media, cloud computing and cyber security to both the commercial and public sector. In 2011, MicroTech launched multiple new directives, including the MicroKloud line of cloud computing services and MicroPodd solutions for mobile data. MicroTech also has an exciting array of new ventures happening in 2012 in addition to their tried and true products and services. MicroTech manages more than 500,000 users daily and is a prime contractor for over 100 federal projects. Their mission statement reads: To discover, design, develop and deliver innovative and emerging technology solutions including infrastructure services, systems integration, unified communications and cloud offerings maximizing customer success. MicroTech is a certified Service-Disabled Veteran-Owned Business and National Minority Supplier Development Council supplier of quality products. 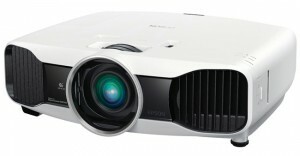 Epson, leading manufacturer of printers and technological innovator, just announced three brand new home projectors to their line of products. They’ve been leading the pack in this arena for a while, and many spectators and business folk alike were excited to see the company unveil these three new puppies at last weekend’s CEDIA EXPO in Indianapolis, Indiana. So if you’re in the market for new home theater devices, take your pick of the options below. 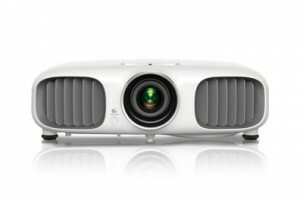 The 3020e, which retails for $1,799, includes all the features of the 3020, except for the built-in speaker system, plus wireless HDMI connectivity and 5 outlets for HDMI devices, along with a wireless transmitter. As you can see, the quality of picture is significantly clearer. For wireless connectivity and 5 HDMI outputs, the 5020e offers these same bonus features for HDMI advancement, for a total of $2,899. With these three options, you’re sure to find the perfect fit for your home theater from the renowned printer and technology company Epson.